Step 1 Peel and chop mango and place in a blender with skim milk, low-fat natural yoghurt, almond meal, manuka honey and a few ice cubes. Step 2 Blend until smooth. Divide between 2 glasses. No time for breakfast? 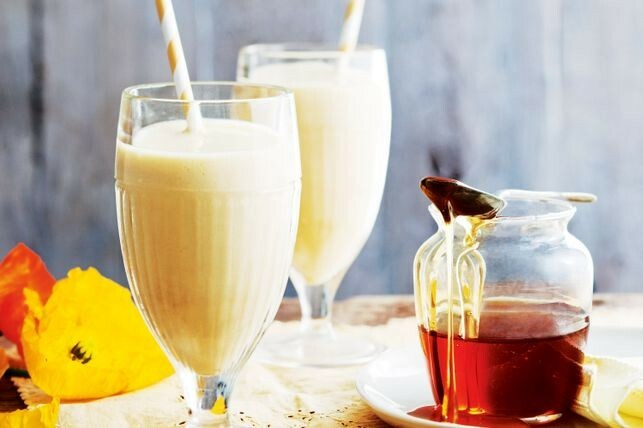 Give yourself a healthy start with this delicious drink.